Many celebrities have typical hair looks that they rarely shy away from, like Ariana Grande's sleek half ponytail 'do, and Taylor Swift's shiny blonde bob. One starlet, though, is now changing up her signature style. Lorde sported shorter, straight hair at the CFDA/Vogue Fashion Fund Awards in New York City on Monday, and looked so different she was almost unrecognizable. The 18-year-old showed up at the event with a slicked-back stick straight hairdo that almost looked a little damp. She usually lets her natural curly tresses fly free wherever she goes, so the smooth style is quite different for her. Not only did she debut straight hair, but also a brand new length. Her chocolate brown locks appeared to be much shorter, hitting right at her shoulders. I'm totally digging the new 'do. It felt fresh but still aligned with her usual edgy style. The rest of Lorde's look was pretty gorgeous, too. She donned a loose black tank dress with a short-sleeve lace underlay and silk black pants underneath. She completed the layered outfit with black circular studs, winged eyeliner, and a pale pink pout. It was gothic glam at its very finest. 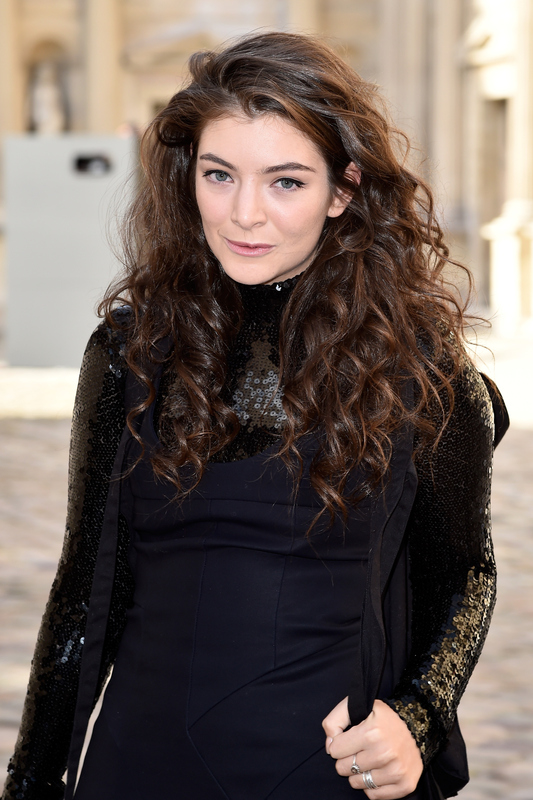 Voluminous curls may be Lorde's signature look, but she has worn other styles before. Let's take a look at six versatile 'dos she has donned. This may be my favorite hairstyle on her. A bit different from her usual spiral curls.